The study of risk perception started when experts in these matters figured out that common people often disagreed about how they envisage risk, even in how people observed that risk. There are many theories about risk perception. Some are exclusively related to risk perception while others are adaptations from perception theories. Many of these theories date back to last century, others are more recent. Chapter One of this book discusses the reasons there are many different theories of risk perception. Chapter Two studies community vulnerability in risk analysis task using multi-source data statistics. Chapter Three offers a thorough analysis of risk perception and psychosocial vulnerability in a health context, from a theoretical perspective, and based on current scientific evidence, in order to open research lines for both of these constructs, both separately and collectively. Chapter Four establishes a relationship between the consumption of drugs like cannabis, cocaine and designer drugs in young university and non-university populations with the young people’s perception of risks associated with such consumption. Chapter Five provides an analysis of consumers’ choice of pay television and car insurance services based on the perceived risk model. 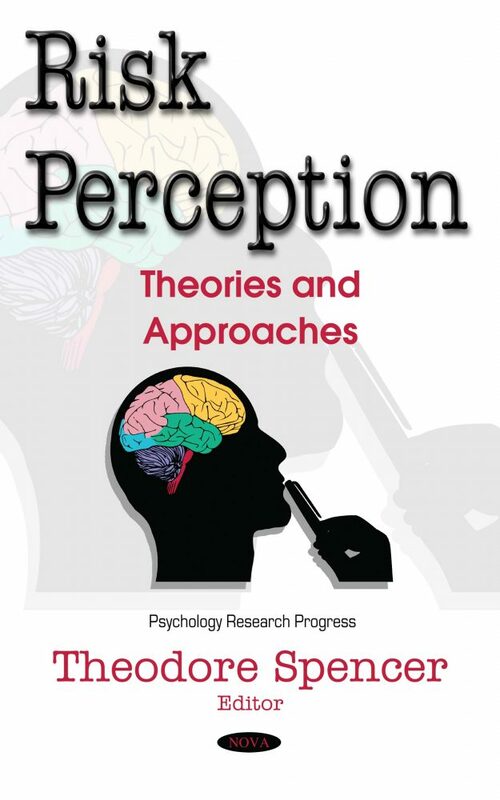 Risk Perception: Why Different Theories?